When you're in Canada, one of the best things you certainly wouldn't want to miss out on is their vast quantities of arcade games in store for players. Though you can certainly play arcade games online, the refreshing, lively and vibrant feeling brought by playing at a brick and mortar establishment is certainly unsurpassable in certain points. This is further reinforced by the fact that you can enjoy while boasting your skills as a player, with towering amount of choices for games that spans up to 300. Blitz Arcade knows of many arcade establishments in Canada and one of their biggest contains over 300 selection you can choose from. The number is undeniably overwhelming and this is even doubled with the amount of players that they can accommodate. If you're still not familiar of their games, you'll feel twice the difficulty in choosing what games to play which is why it is always suggested to search for the most popular games they have beforehand. Combing through their rich selection, this list will tackle the most popular Canadian arcade games today. Whether you're looking for a game for your child to play or even if you're the one looking for a lively game, then you'll undeniably be thrilled to play the Flying Tickets game. At one glimpse, you'll certainly feel that it is something you're already aware of - Angry Birds. 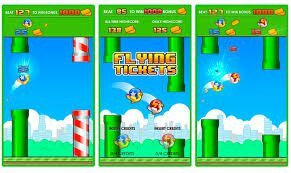 This Flying tickets is undeniably the spitting image of Angry Birds but in this setup, you'll earn hundreds to a thousand of tickets once you reach necessary target points laid down by the system itself. Just by the number itself, you probably may have guessed already what game this super 21 refers to - yes, it's casino blackjack . You can enjoy blackjack and earn tickets corresponding to how close you are to the number 21 and of course, if you miraculously achieve a 21 with only two cards in your hand, then you'll be rewarded with the progressive jackpot prepared by the game. You'll be able to enjoy the sweet experience of gambling all in a lively setup and environment. Simply drop the high-energy ball and you will have the chance to garner stunning amounts of prizes at the end of the game. This monster drop's goal is for the player to successfully and artfully drop the ball at the hole labeled as the jackpot hole. By doing so, the player will receive the maximum amount of tickets programmed for the arcade game. Still, even if you're not lucky or skillful enough to take the ball and drop it to the jackpot hole, there are plenty of holes in the game that will still provide you with some sort of rewards that guarantees you won't come out empty-handed. Test your luck in a wheel and fortune and have a chance to gain thousands of thickets in one fell swoop. 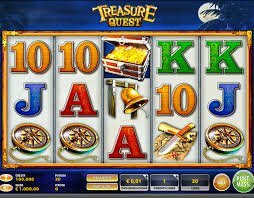 This arcade game will surely give you a lucrative chance to land on big prizes with a single swing of its roulette. You can spin the wheel however you want and each number on its body corresponds to certain prizes. The amount of bonus or the maximum prize is display as well, which means that you'll be more than motivated to play, knowing that the price is already in front of you. Another game that will test your luck is this big machine with a spinning wheel at its inside. The game is simple - you just have to pull the lever and spin the wheel and wherever you land, it will give you the corresponding number of tickets for it. In the event that you get a perfect fit, you will receive a bonus of a thousand tickets that will undoubtedly put you on a high-bar to play more. As mentioned above, you can also play arcade games through the internet. However, if you want to do so with the reward at the end, it is only logical for you to find it on the vast quantities of web-based waging establishments today. The number of arcade games in the internet are truly more overwhelming than what brick and mortar establishments can offer and if you want to carefully pick what to play, it is only fair for you to find unbiased canadian reviews. This kind of reviews will surely help you learn more of what games to choose out of tens of thousands of games online.